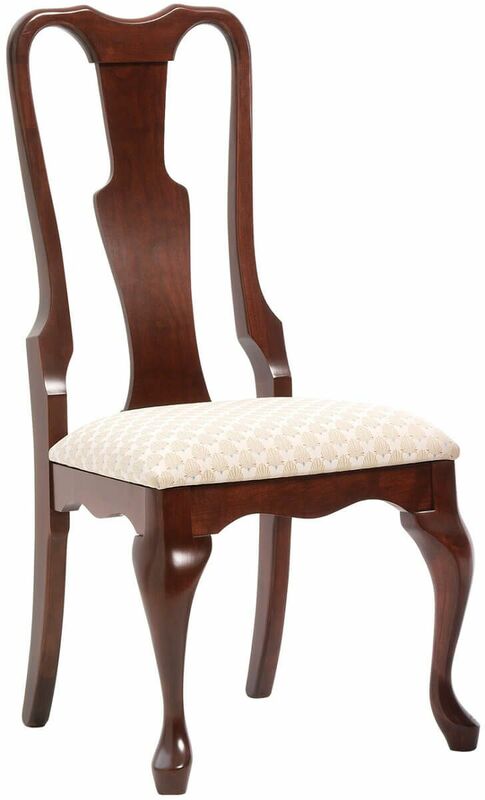 A single ornate splat, cabriole legs, and pad feet bring a royal air to our handcrafted New London Queen Anne Dining Chair shown upholstered in Cherry. 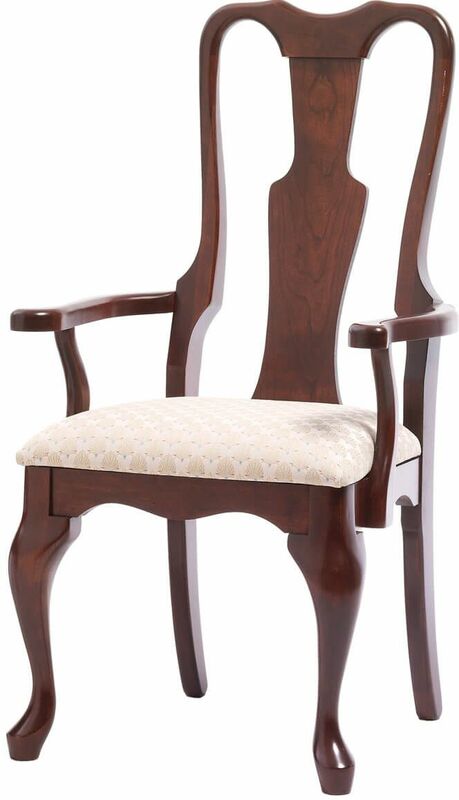 Revive the early 1700s with your New London Queen Anne Dining Chair fashioned with a uniquely designed back splat, a curved apron, and cabriole legs. 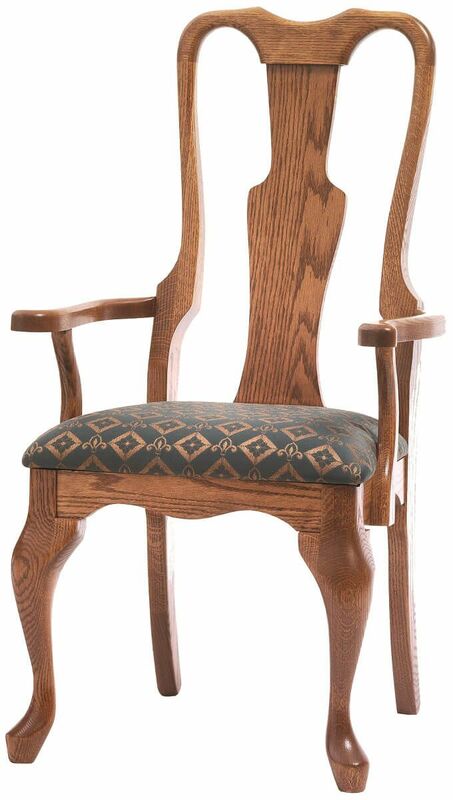 Pictured with fabric upholstery, your Amish handmade dining chairs are also available with a leather or wooden seat if you prefer. 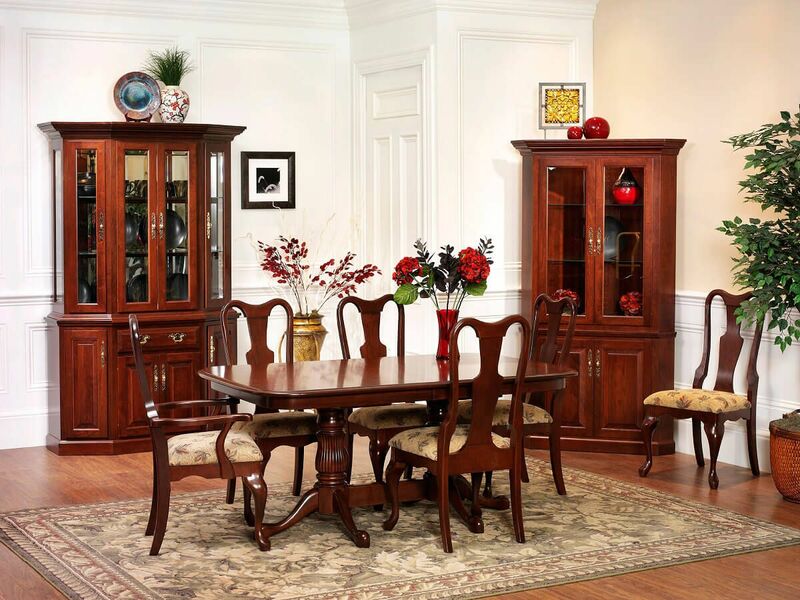 Choose your wood, stain, and options and our Amish artisans will handcraft this ornate Cherry dining chair to your specifications. 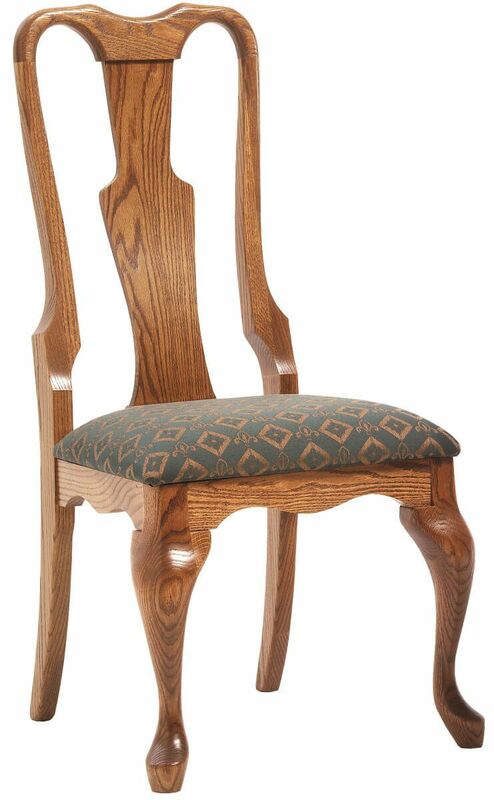 Part of our Evendale Dining Collection, this formal seat pairs nicely with the Walton Heath, Huron, or Sheffield Dining Table.